« Which is worse: Lying or jumping to the defense of liars? Time for Connecticut Democrats to be counted. Hooray for Zimmerman, whoever he is. At least there’s one ethical Democrat in public life. Too bad there aren’t more. This entry was posted on May 23, 2010 at 5:32 pm and is filed under Ethics-general, Politics. You can follow any responses to this entry through the RSS 2.0 feed. You can leave a response, or trackback from your own site. Bob, I am so disheartened by this. I would expect either party to regard this level of long-term misrepresentation, especially on this topic, to be a pure disqualification. I can’t believe there are not honest and qualified Democrats that would carry the party’s banner honorably in November. A party that won’t reject such a candidate endorses his character as its own. The message: honestly isn’t really that important to us. Good to know. The media partisans also are disgracing themselves: Maureen Dowd’s column attempted to explain Blumenthal’s lies as “wishful thinking” rather than efforts to deceive, and attempted to minimize them by citing other’s who have misrepresented themselves—Hillary, Biden, Gore—who (according to her) distinguished themselves later. The old “not all liars are bad” defense. Pathetic. Of course, I wouldn’t trust any of them, but none (with the exception, perhaps, of our Sec. of State) come close to matching Blumenthal. I’m distressed too. I thought that the Connecticut Dems would be m,ore honorable. Maybe they still will–there’s talk of Delaurp or Kennedy replacing Blumenthal. It’s never too late to do the right thing. I think Biden’s “plagiarism” wasn’t really a sin, more an honest mistake–he credited the Brit many times, just missed once. I can’t imagine what was in Clinton’s mind in the Bosnia lie. And I’m not sure what Gore’s misrepresentation you’re referring to. 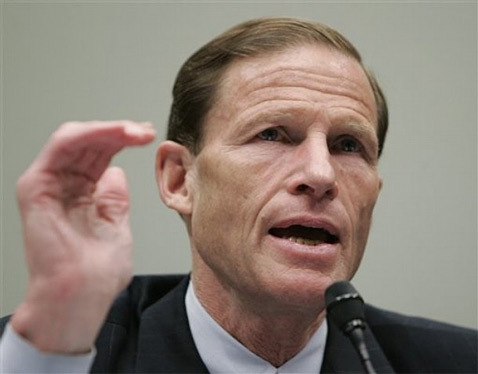 But Blumenthal’s lie–terrible–and no apology or acknowledgement. Ugh. Gore IS fascinating. I worked for him for six years, very closely for three. He was a terrific boss, trusting his staff, inviting disagreement and truth-telling, making people laugh, listening intently, and working harder than anyone. His impeachment day defense of Clinton was horrifying and demoralizing to many of us. I think it was his sense of duty overpowering his sense of right and wrong. He attempted to correct this by excluding Clinton from his Presidential campaign, and even distancing himself from the many achievements of the Clinton Presidency. It cost Gore the Presidency, in my opinion. The internet thing is a bad rap. I could never find any evidence that he claimed to have invented the internet or anything close to that claim. He tried to laugh it off, but it dogs him to this day. It definite cost him the presidency, and I’m sure he knows it. I’ll cut Al a break any time I can—to be one of the four Presidential candidates to lose despite winning the popular vote (and only one of two not to become President eventually anyway) has to be an incredible burden. Any excess or error he commits from then on has to be received with some empathy, if not approval. His concession speech to Bush was one of the finest moments any politician has every had; his Saturday Night Live appearance was hands down the strangest. Missed him on SNL. My favorite was his appearance on Letterman in Sept 1993–I gave him the government ashtray, made to a twenty-page government spec, which he “destructively tested” by smashing it. You have to find a way to see Gore on SNL. They will be using that in civics and psychology classes until the end of time. You have to see the whole show…he hosted. In particular, the skit in which he visits the West Wing set and sits alone in the “Oval Office”, pretending to answer the Red Phone. It was funny, disturbing, brave, and sad.